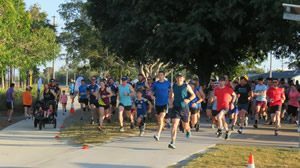 Mackay Road Runners incorporated its annual pre Father’s Day 5km run with the regular park runners 5k last Saturday morning. Over 180 runners united in fun and fitness to tackle the usual 5km parkrun course, with several runners challenging themselves with two loops of the meandering course which lead runners into the beautiful Botanic Gardens’ scenic trails and rainforests. Many thanks to regular parkrun volunteers who instructed Mackay Road Runners volunteers on the parkrun procedures so that they could assist appropriately. Parkrun directors are a very organised group with a huge attendance of approximately 150 and more every Saturday morning. The local and head bodies of parkrun are to be congratulated on a successful concept which grows in stature on a weekly basis. Several Mackay Road Runners assisted on the day including Tim Magoffin, Leanne & Ross Connor, Tam Wanstall, Carol Brown, Steve Oberg, Judy Zahn and Paul & Janelle Tilse. A great number of Mackay Road Runners were also in attendance, thoroughly enjoying the comradery of like-minded individuals. Family and friends, the local, interstate and intrastate running scene and business associates are in mourning after the recent loss of one of its most treasured and inspirational identities…the legendary, Shawn Claydon. 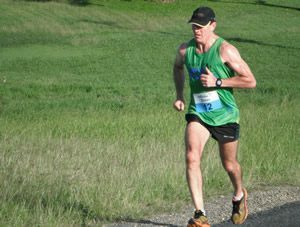 Shawn was and is a local icon, seen constantly running the streets and parks of Mackay in a bid to excel and improve his fitness, speed and agility in his favourite sport of running. Shawn was tragically diagnosed earlier this year with pancreatic cancer. His devoted family and friends rallied in hundreds in support of Shawn in his fight against the disease, which unfortunately claimed the outstanding son, brother, father, cousin, nephew, colleague and mate only six months later. Shawn’s legacy will continue in the hearts of so many of those he touched with his never give up, quiet, and humble persona. His fighting spirit will live on with a Mackay Road Runners Memorial run in his honour with generous support from his workplace where he was a Partner – Forsyth Accounting. The Forsyth Accounting 10km Club Championship event was one of many races where Shawn held first class championship honours for several years….watch this space for the inaugural event to be held early/mid 2019. 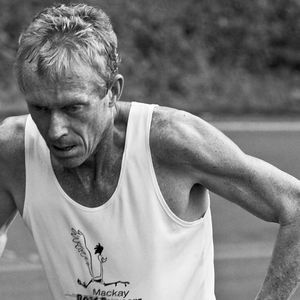 Mackay Road Runners extend deepest sympathies to his family and friends. This Sunday’s Mackay Road Runners event commences 4pm from 21 Karl Langer Crescent, Mt Pleasant. The Shields Stampede 5km & 12km will be generously hosted by Life Members, Wendy & Merv Shields. The annual run is a challenging event which includes some of the testing hills of Mt Pleasant. The scratch start race will commence at 4pm sharp, therefore, runners are expected to be registered with the timekeeper by 3:50pm with member number and timing chip attached to their shirt and shoe respectively.